The earliest islanders were the many Native Americans who inhabited the area. There is no known written history of their local habitation, but artifacts evidencing their existence are regularly found to this day. The first documented history of Europeans on Taylors Island indicates that they came from across Chesapeake Bay. Colonists from Maryland's St. Mary's and Calvert Counties were the first to settle the island in 1659. They raised tobacco and corn. The name Taylor in association with the island first appears as early as 1662. Taylors owned land here for three generations. Phillip was first and was followed by Thomas and John. All three held the office of sheriff, and Thomas and John served in the legislature following the formation of Dorchester County in 1668. The oldest deed records in county land records dates to 1669 when Thomas Taylor and his wife Frances sold a 1,200 acre tract called "Taylors Inheritance" to Arthur Wright. A captain in the county militia, Thomas Taylor led a force that subdued a group of rebelling Nanticoke Indians in 1678. The Maryland assembly reimbursed Taylor and fellow island militiamen Raymond Staplefort, Richard Tubman, and William Robson for expenses incurred during the campaign. His leadership apparently earned Taylor a promotion to major two years later. 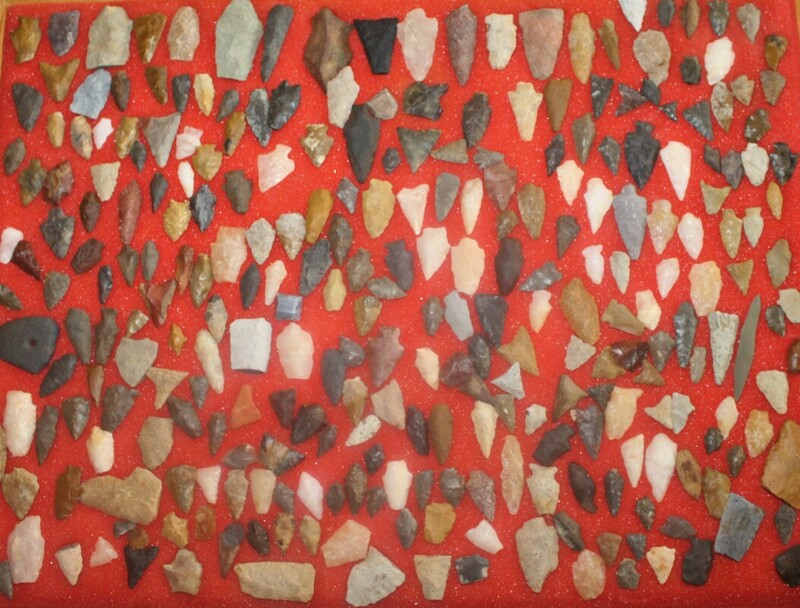 Indian artifacts found on Taylors Island (Geleta collection).